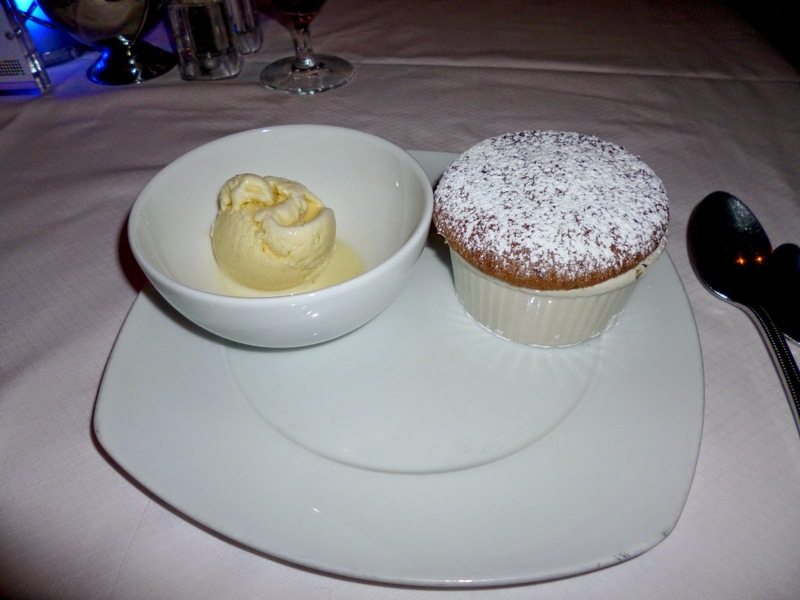 Last week i returned home from an Eastern Mediterranean cruise on board Celebrity Reflection. It was my second cruise but my first one with Celebrity cruise lines. It was an 11 night cruise which stopped off in some of the most spectacular port of calls. Starting in Rome we travelled to Santorini, Istanbul, Kusadasi, Mykonos, Athens, Naples and then we finished off back in Rome. There really is nothing better than waking up in a different city/country each day. I’ve decided to do several different posts on all of the gorgeous places that i visited as i have so many pictures and things to tell you about the place,the itinerary of this trip was just fab. This post will be dedicated to the cruise itself and let me tell you it was the most luxurious fortnight possible, since I’ve cruised i don’t think i will ever go back to a normal holiday again. Grab a cup of tea and a biscuit,its a long one! I didn’t actually end up with many pictures of the inside areas, but you can definitely see how luxurious it all was! One of the many gorgeous bars on the ship,with lovely,friendly bartenders! 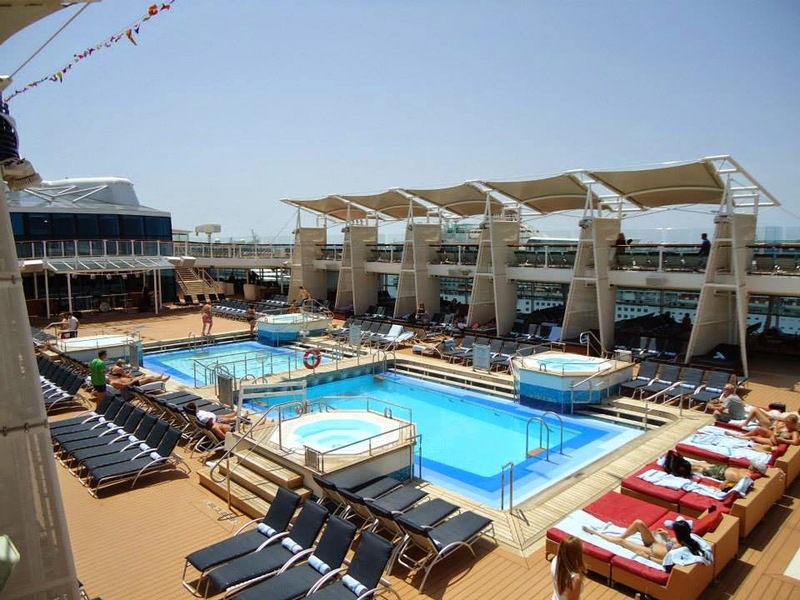 There was two swimming pools on the ship, an outdoor one and an inside one for adults only! It was the perfect hideaway from the glare of the sun and it was perfectly tranquil and peaceful! Seriously the most comfy lounging chairs EVER!There were also amazing hammocks too which i never got a try on as they were always occupied! Sunbathing on the solstice deck, one of the highest parts of the ship, technically closer to the sun for added tanning purposes! If i wasn’t here i was in the buffet restaurant. This year we opted for an inside stateroom, the balcony rooms are lovely but truthfully we hardly spent anytime in our rooms as we were either at a port of call, taking part in the many activities onboard,eating,eating some more or sunbathing,but probably eating. Compared to Royal Caribbean the stateroom was a lot more roomy and the bathroom was will kitted out and the shower was actually big enough to stand in and wash my hair! Every evening you got the celebrity today delivered to your room with a chocolate each night which was such a thoughtful touch, i’m still eating some of them now that i saved! 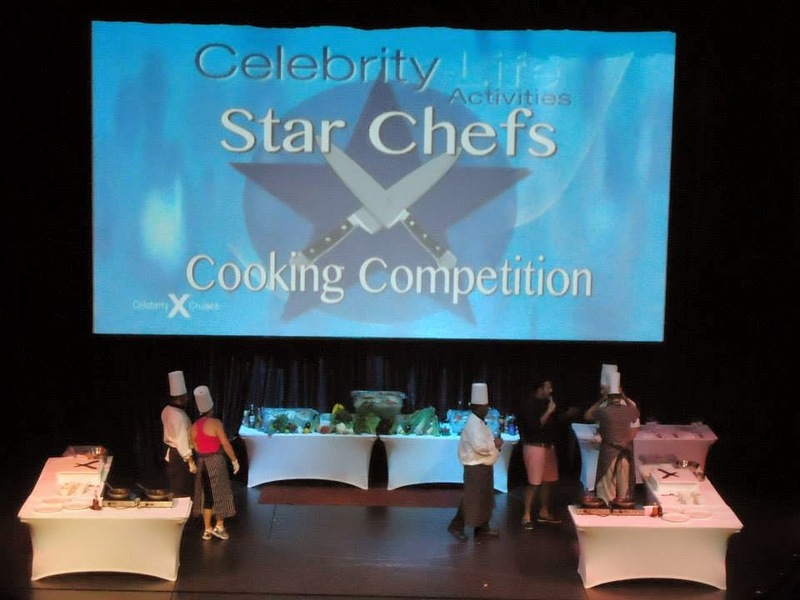 The celebrity today is a daily newsletter type thing that tells you what activities are going on each day and at what time, as well as food recommendations and details about the next port of call. You may have noticed i’m not actually called Natalie (my sister!) but like the eager person i am i had already looked through mine before realising i had forgotten to take a picture! 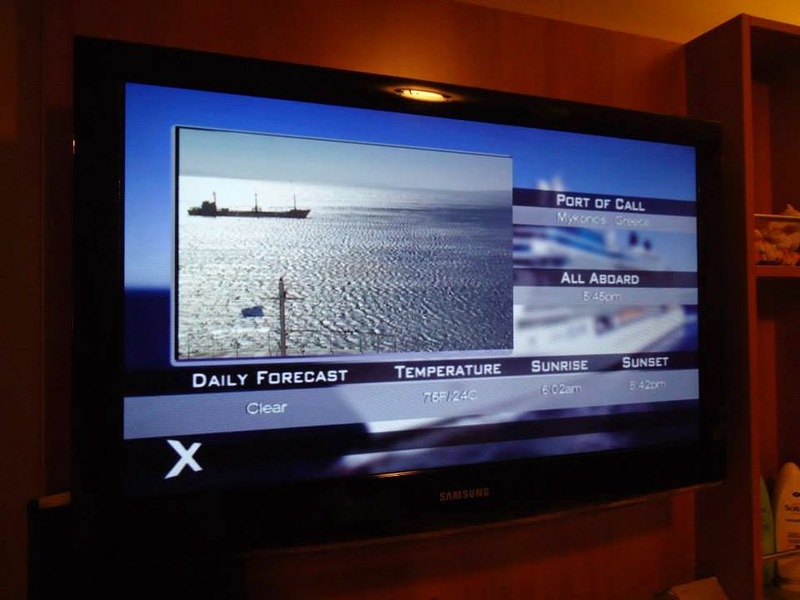 Every day you could tune into the cruise directors channel to find out what was going on that day as well as the Captains channel (as shown above) highlighting where you were at sea,the current temperature as well a live video stream from the bridge! Ahh my second favourite part to the cruise after outfit changes and food is the towel animals! I always looked forward to coming back from dinner or the evening shows to see which towel animal we got next, our lovely stateroom attendant always laid our pjs out in various different styles too,so cute! Dining with a view in the Opus dining room. 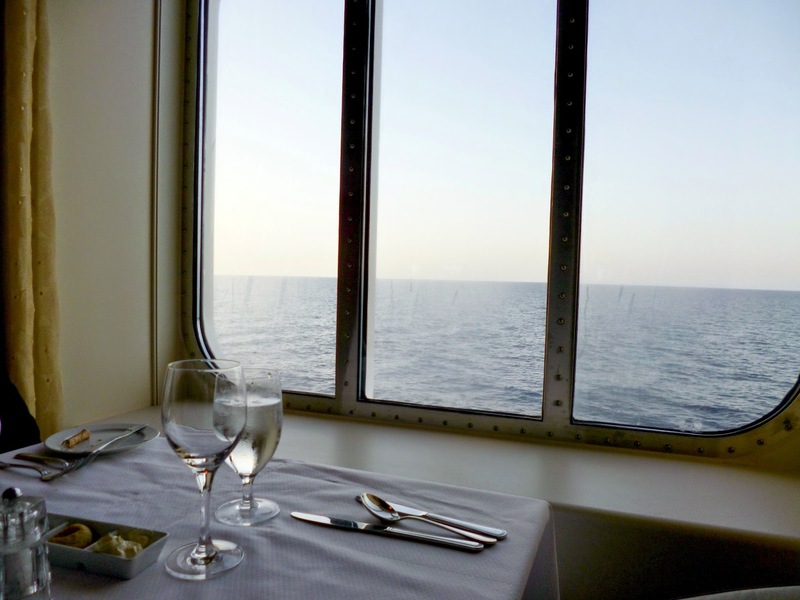 There literally is nothing as perfect and relaxing as eating and watching the sea/land go past you,it feels so serene and looks beautiful! 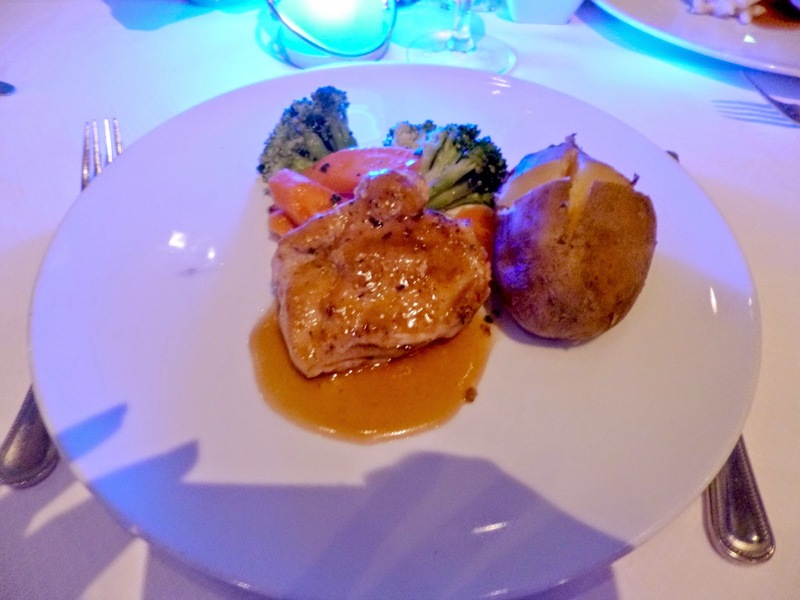 Grilled chicken breast in the dining room,one of the meals i grew intensely familiar with.. The most delicious New York cheesecake! 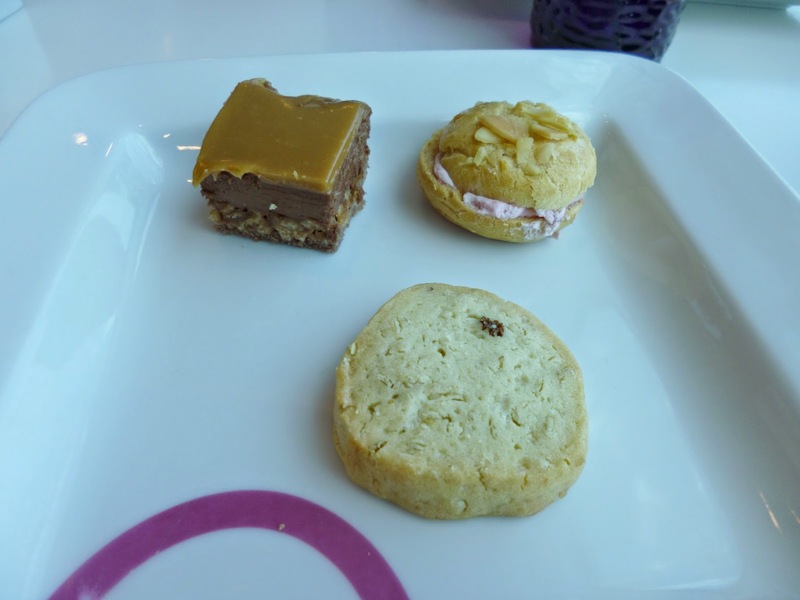 Yummy sweet treats from the buffet at lunch times! Well moving onto the most important aspect of the cruise. The FOOD! Seriously if you want to eat 24 hours a day then you can, with one of the restaurants/cafes practically always open. 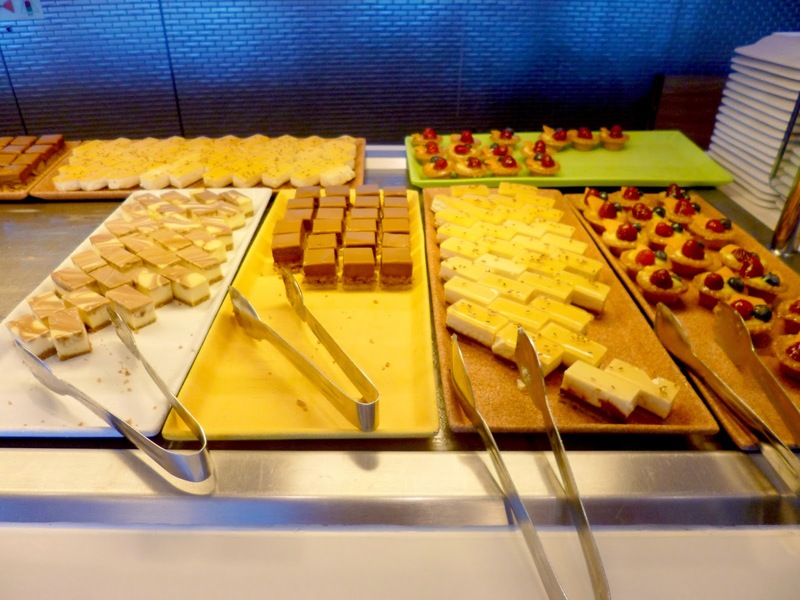 By the end of the cruise i was eating almost triple the amount i would ever dream of eating at home, i dont know where the food was all going! The buffet restaurant was open literally all day catering for breakfast,lunch,afternoon snacks,dinner and the chefs late night selection. The food is everything you can dream of and more, for a picky eater like me its perfect as i can have a bit of everything. In the evenings we dined in the formal dining hall, the food is definitely too fancy for me, resulting in me eating grilled chicken every night, the waiting staff were convinced i was on a diet, well they should have definitely seen what i had been scoffing at breakfast and lunch each day!! 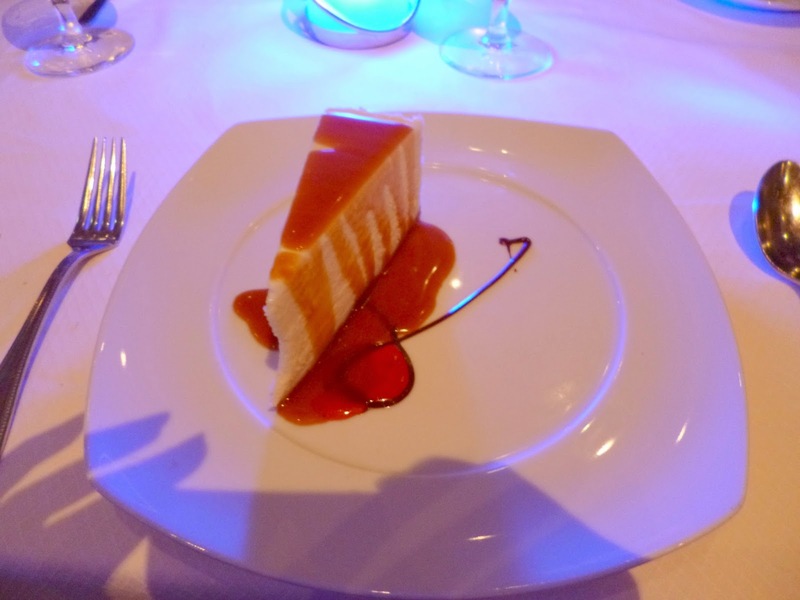 But hey, i went there to dress up nicely every evening and of course for the best course being dessert! The waiting staff tended to your every need, sometimes bringing two meals if you couldn’t decide on the one! I could not fault the restaurants on the ship at all, i came home a few pounds heavier which did me the world of good but it was quite nice to come home to some plain beans on toast! There’s a few pictures above of some of the amazing food i ate. The Reflection theatre held the shows every evening. A few of my favourite performances were Gareth Oliver who was a ventriloquist and appeared in BGT 5 years ago with Susan Boyle,seriously SO funny, google him on youtube if you cant remember him! I also loved the reflection performances which included a circus style show. The activities and evening entertainment were another amazing part of the cruise. There is always something going on. I even attended a hair braiding workshop which was amazing! The acrobats on the ship were sensational as you can see above! Shadow dancing Las Vegas style in the Martini bar! This was one of the activities which took part in the day which was a cooking competition against a chef on board vs a cruiser, it was so fun to watch! There was so many amazing shows and themed nights on the ship but the best had to be the liquid nightclub which saw the indoor pool area transformed into a night club. It was a great atmosphere with lots of stuff going on as well as acrobatics dancing around and there is proof above that mermaids DO exist! I was in my element, if i could be anything mythological it would be a mermaid! There were also two formal nights on the ship which allowed you to dress as glamorously as possible! They always say wear your best dress first because you probably wont fit into it by the end of the cruise haha! The last formal night i donned my favourite Scala USA dress and felt like a bond girl the whole night as well as becoming one of Charlies angels (my dads actual name)! It was really difficult to get a picture where you can see the whole cruise ship as its just so big! 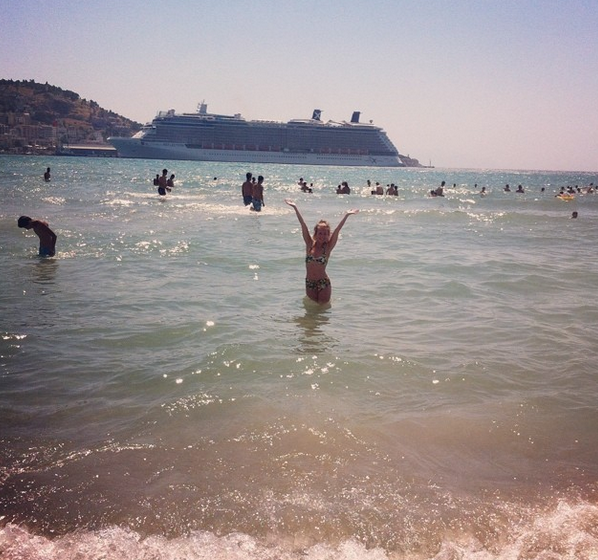 I think i mastered it with it in the background whilst i was at the beach in Kusadasi though! Well there you have it! A whirlwind stop tour of my amazing holiday onboard celebrity cruises!In the words of Alexander the cruise director ‘Whatever you’re doing have a fantastic day on board the gorgeous, Celebrity Reflection’! I hope you all have a fab weekend! What do you think of my travel pics? Have you cruised before? Are you off on any holidays this year?